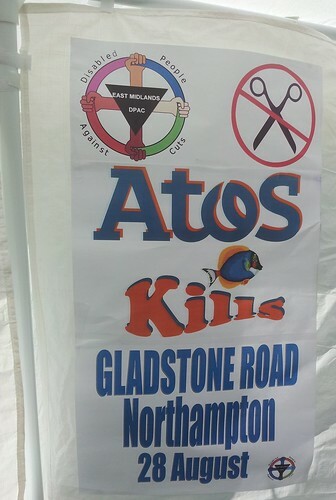 A number of community based welfare rights and women’s groups together with the ICTU have organised a protest outside the offices of ATOS Health Care, the private company which operates the Medical Referee Service, to support the “Atos Games” – Showcasing Disabled People’s Anger at Paralympic Sponsors, Atos. 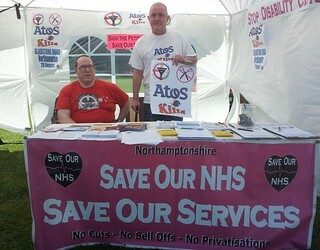 The function ATOS Health Care are performing was previously delivered by the public sector but was privatised in 2010. 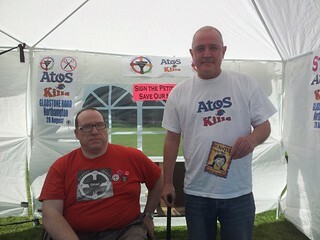 Since the service was privatised disabled clients have not been able to be examined at Royston House because the private company, ATOS, claim they cannot facilitate evacuation in the case of an emergency. In addition, new assessment criteria for disability benefits has made it much more difficult for disabled people to obtain and retain the relevant benefits. All groups banners and leaflets etc are welcome. The picket is called by Fight Racism! Fight Imperialism!